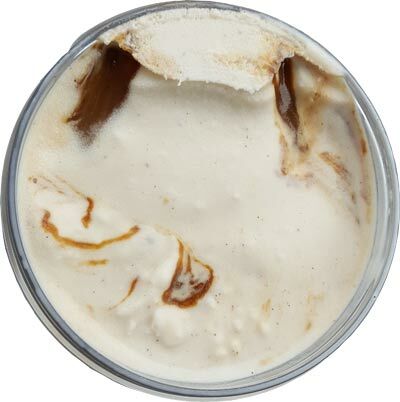 That's right, this one appears to be caramel cookie crunch minus the crunch, and if you remember, CCC is the reason I fell in love with Talenti in the first place. I open the pint and it looks good enough, but I still don't get it. 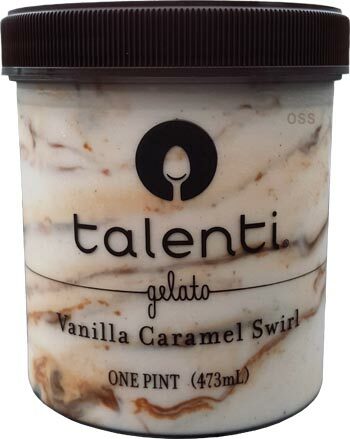 I take my first few bites and yes, it's got that familiar Talenti caramel flavor. It's not all encompassing, it does vary depending on how much swirl you get, but it's still the same flavor. I decided to eat a bit more and that last bite was pretty fun, just full of a very complex caramel. This is a fine flavor, I just don't know why I would personally ever choose this over caramel cookie crunch. My big thought right now though is that serving this in a waffle cone would totally make up for that missing crunch factor. Parting thought: how fun would this have been with their caramel truffles in the mix? 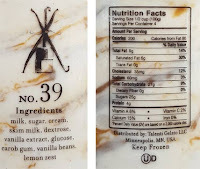 What is going on with quality control Talenti? On Second Scoop: I took my first few bites and I kind of starting thinking about how this could easily be the beginnings of an excellent cookie dough flavor. If you grab a pint that has a ton of swirl like I did, there is enough flavor and diversity going on to hopefully keep you amused. Yes, I know many of you will be bummed there isn't more going on, whether it's cookie dough or their chocolate stracciatella or something else, but we can't overlook that was still a wonderful afternoon snack. 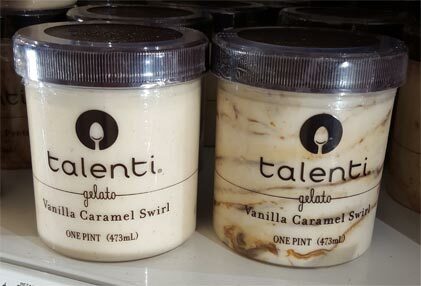 You can do better Talenti, but that doesn't make this a bad product. When I saw this one as new I was thinking the same thing Dubba: "Why this? It's so plain!" I thought. When I ate it I felt the same way. It's good but not great, and still not sure why they made it? I don't know if I'm not a Talenti fan or not a Gelato fan, but I keep trying them and keep walking away with the cheap, plastic ice cream feeling. It just doesn't seem rich or fulfilling to me, but Im decidedly in the real ice cream with natural ingredients and formula camp. 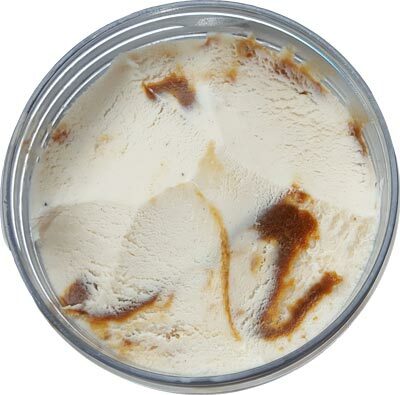 Gelatos are always lower in calories, lower in fat, and higher in sugar. I like ice creams that are the exact opposite. Higher in calories and saturated fat (which means more cream). Infact I can pretty much rank my favorite ice creams by calories per half cup. 240+ for a plain flavor, 260+ for a heavy mix in flavor is the bare minimum. 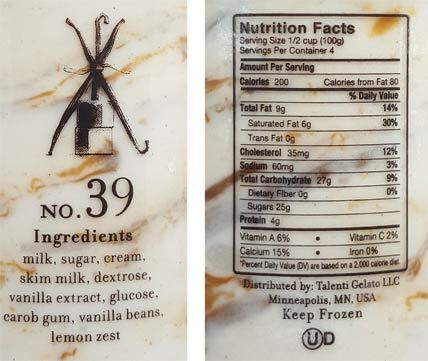 Talenti doesnt cut it there but their neither do the lower than super premium ice creams that are 200 or below per half cup. Maybe gelato just isn't your thing, which is fine, no worries (I'm the only one who eats it in my house really). My only suggestion would be to maybe make small scoops. Instead of digging out a hunk of gelato, try dragging your spoon across the top (or along the melting edges) for a small bite just to see if it strikes you any differently.